BJP National Chief Amit Shah was in Jaipur for one day visit on Tuesday. This was his third visit to state of Rajasthan in this year. He reached Jaipur and offered prayers at famous Moti Doongri Ganesh temple. He attended four programs in the city and addressed party workers, trade unions, representatives of local body, religious body, social organizations and prominent personalities of the city. Reaching out the people, he asked for narrative favour for BJP. Know more. At Jaipur’s Birla Auditorium, he addressed prominent businessmen and professionals. It was 40 minutes address. While addressing the people, he said that he didn’t want to hide anything. He further added that he didn’t want vote of people. He wanted people to allow a favourable narrative for BJP in Rajasthan Assembly elections. He asked people to take any decision only on the basis of work done. In his speech, he talked about the achievements of BJP government at the centre as well as the works done by Vasundhara Raje government in Rajasthan. Amit Shah also threw lights on various works by the ruling party for the state and also asked them to be familiar with accurate facts and figures. Modi government always supported Rajasthan in making progress. 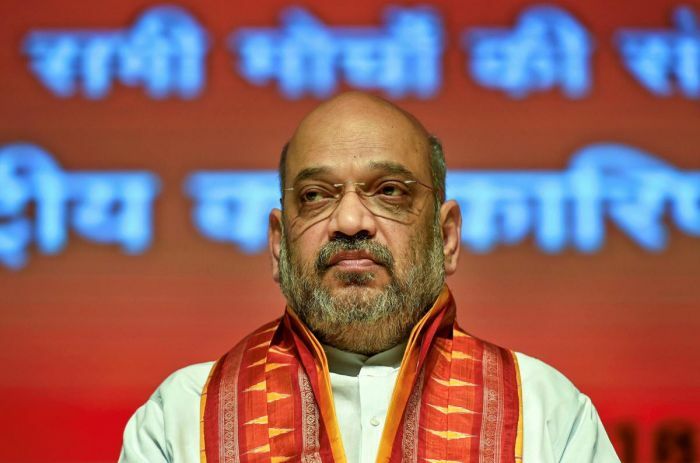 Lashing out at Congress leaders, Rahul Gandhi, Ashok Gehlot and Sachin Pilot, Amit Shah said that they are questioning BJP and its works. They should first restore democracy in their own party.